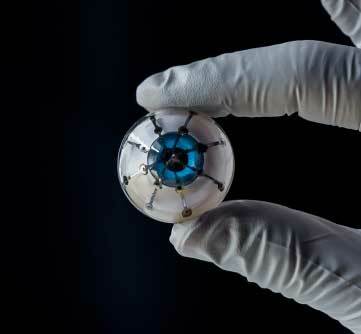 (Nanowerk News) A team of researchers at the University of Minnesota have, for the first time, fully 3D printed an array of light receptors on a hemispherical surface. This discovery marks a significant step toward creating a “bionic eye” that could someday help blind people see or sighted people see better. The research is published today in Advanced Materials ("3D Printed Polymer Photodetectors"), a peer-reviewed scientific journal covering materials science. The author also holds the patent for 3D-printed semiconducting devices.